17th Edition Amendment 3 of BS 7671:2008 came into effect in July 2015 and stressed the importance of enhanced fire risk protection. 1st January 2016 marks the implementation of the switch to metal clad consumer units for all new electrical installations and designs. be enclosed in a cabinet or enclosure constructed of non-combustible material and complying with Regulation 132.12. 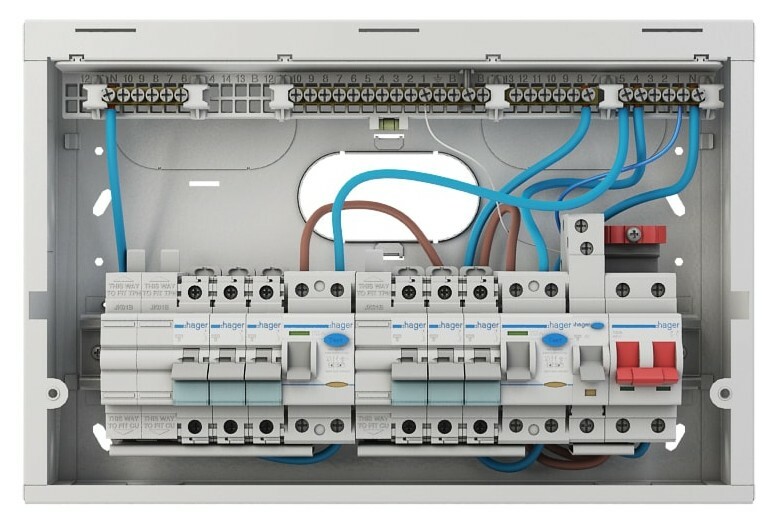 If you are completing an Electrical Installation Condition Report (EICR) from 1st January 2016 and the plastic consumer unit is not underneath a staircase or not within the only route of escape and the connections inside the consumer unit are satisfactory, then it doesn’t need to be commented on. However, if plastic consumer units are underneath a wooden staircase or within the only route of escape from the property, then it needs to be noted on the report. Make sure that you are installing to the new 17th Edition Amendment 3 and that any consumer units which are installed from 1st January 2016 anywhere in a domestic dwelling are manufactured from a non-combustible material (like steel), in order to comply with the current Wiring Regulations. It’s also important that homeowners are made aware of the change to metal clad consumer units for fire prevention, in the event that they require an EICR or a consumer unit change and are led to believe that plastic consumer units are still acceptable. Homeowners can use our free guide which explains what’s inside your consumer unit, to better understand the importance of safe electrics. Do you need to update your qualifications? If you already have a 17th Edition qualification, then you will not need an update course for Amendment 3 or have to re-take your exam. However you should purchase the new book and be aware of the updates made to the Wiring Regulations for all future installations. If you have a 16th Edition qualification or earlier, then you will need to update your qualification and own the book, in order to understand the changes made in it and work with the new regulations. Want to know more? Then read on about the change to metal clad consumer units!